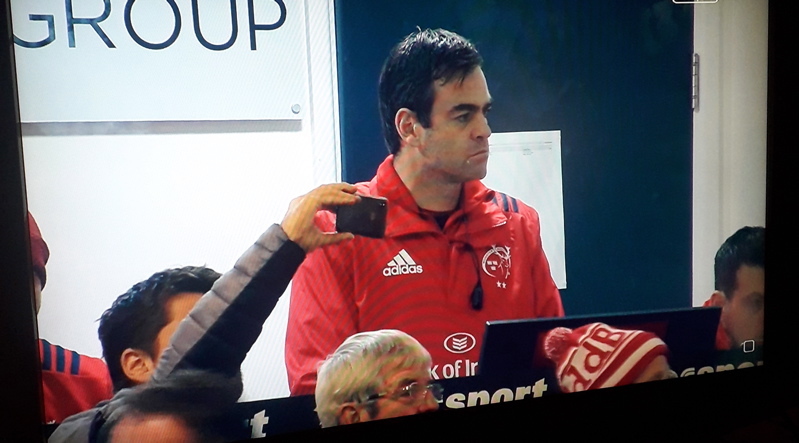 THE thought struck me this morning that it would be worthwhile asking Munster head coach Johann van Graan if he was interested in remaining with the province if offered an extended contract. A prior appointment prevented me from attending today’s media gathering at UL but there to my surprise, the following email flashed up on my 2002 Apple Mac just before noon. “Munster Rugby and the IRFU are pleased to confirm that Munster Rugby Head Coach Johann van Graan has extended his contract for a further two years, and will remain with the province until June 2022. Was I surprised? Not one bit. The 39-year-old has settled in here well, the team’s record speaks for itself and he has a great rapport with Jerry Flannery, Felix Jones, JP Ferreira and the rest of the coaching staff. Munster Rugby is a happy place to be at the moment. “Leaving his role as the Springboks forwards coach, van Graan and family made the move to Limerick in November 2017. His impact was immediate as he and the coaching staff of Jerry Flannery, Felix Jones and JP Ferreira guided the squad to the semi-final stages of the Champions Cup and Guinness PRO14 last season. “A year later and the 39-year-old has once again paved the way for Munster to reach knock-out rugby in both competitions, with a Champions Cup semi-final against Saracens first up on Saturday week. “Commenting on the news Munster Rugby Acting CEO Philip Quinn said, “We are delighted Johann has committed his future to the province. There was a significant amount of interest from other clubs so it was always going to be a challenge to retain the services of a coach of Johann’s calibre. However, Johann is fully committed to Munster Rugby and I believe it is a statement of intent from the province that we have finalised this deal. Munster Rugby must be complimented on the timing of their announcement. It comes just at the right time and will feed into the confidence of an exceptional squad of players who could well win the double this season. What an achievement that would be.